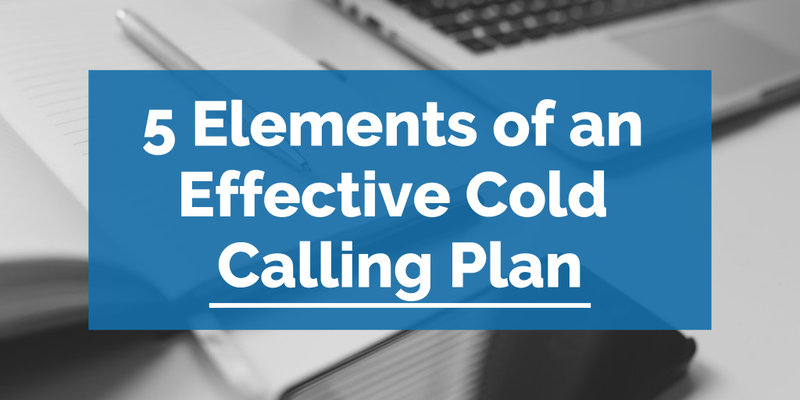 Cold calling remains one of the most effective ways to land appointments and generate business. It can also be a challenge, especially for reps who are new to the concept. 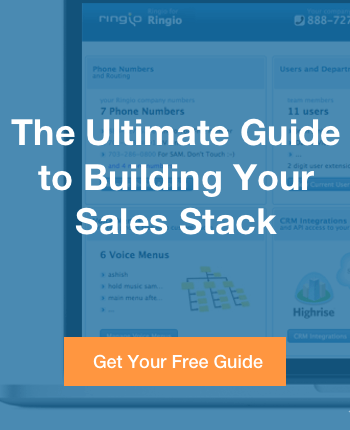 This is one area where your strategy can make a huge, meaningful difference in the performance of your reps. One secret is that cold calling isn’t really so cold, anymore. Your CRM should contain valuable information about a prospect, before the first call has even been made. That’s just one of the topics we’ll touch on in our 5 elements of an effective cold calling plan. Your call and voicemail scripts are important tools for your team. When a new rep is trying to find their footing with cold calling, a strong script can provide the confidence they need to progress. Even experienced reps can benefit from the structure that a script provides. When you’ve got limited time to make an impression, picking the right words can really make a difference. Just remember that your reps don’t need to follow your scripts to the letter to benefit from them. You want your reps to sound calm, confident, and in control. Allowing them to fit your script to their personality, within reason, is one of the best ways to empower your reps.
You’d be forgiven if you didn’t immediately associate email with cold calling, but it’s actually an important part of the process. When you can’t connect on the phone, email provides an alternative means to reach prospects. Create email templates for follow up contact, and always follow up with both an email and a phone call. Email gives you another chance to connect, and establishes some familiarity for when you do make contact. When you’re cold calling, you can’t measure success by the results of the first phone call. Prospects miss calls for many reasons that have little to do with the quality of the product or service you offer. You’re trying to connect with busy people, often in the middle of their workday, so a clear follow up plan is vital. Data from InsightSquared indicate that while the first few calls provide the best chance of making a connection, your chances level out from the fourth call to calls 9, 10, and 11. The odds are lower, but they’re consistent, and it’s worth pursuing accounts with potential. With a well-crafted follow up plan, you still have a good chance to make the connection. The metrics and KPIs you focus on play an important role in determining how your reps develop their skills. Before a struggling rep can find success, they have to understand what it takes to get there. How many calls should your reps be making each day, and how many of those calls should result in appointments? Your most important metrics and KPIs should be a streamlined part of your sales process. Your reps should always know where they stand, and what they can do to improve. Remember that for your metrics to have maximum value, your reps need to input data consistently. You can do it with a spreadsheet, but integrating your CRM with call-logging is a simpler, more effective solution. These days, there’s no reason to go into a cold call completely blind. Between your CRM, social media, and a little online ingenuity, you can learn plenty about a prospect before you make contact. And it’s worth the effort. When you enter a call with some knowledge of the prospect and their needs, you have a much better chance of success. It doesn’t have to be exhaustive research, either. Just take a few minutes before making a call to pull any data you can from your CRM, and run through the social media pages of your prospect and their business. You’ll have an easier time guiding the conversation, and prospects will appreciate the effort you made to understand their needs before you reached out to them. In the end, most of our tips circle back to planning and preparation. It’s important to have a plan before you call, and equally crucial to have an established plan for following up. Your technology is always at the center of the action. With the right CRM, telephony, and email outreach tools, your reps will have a great chance at cold calling success.